*AIA offers an Extended Day program with early drop off beginning at 7:30 am and late pick up until 5:30 pm. At the elementary level, Montessori students learn to think for themselves. They are encouraged to do their own research, analyze what they have found, and draw their own conclusions. Montessori teaches students to think, rather than memorize and forget. Students become fully engaged in the learning process, literally learning how to learn, discovering the process to be as natural as breathing! The Elementary curriculum includes Language, Math, Science, Geography and Social Studies. Elementary Academic Enrichment classes include Art, Music, Physical Education and Foreign Language. Students don’t sit at a desk all day long. They often collaborate, either helping one another master information or working together on group projects. Dr. Montessori believed children are born curious, creative, and intelligent. In designing the elementary program, she wanted to nurture their spontaneous curiosity and inspire a sense of wonder in their spirit. 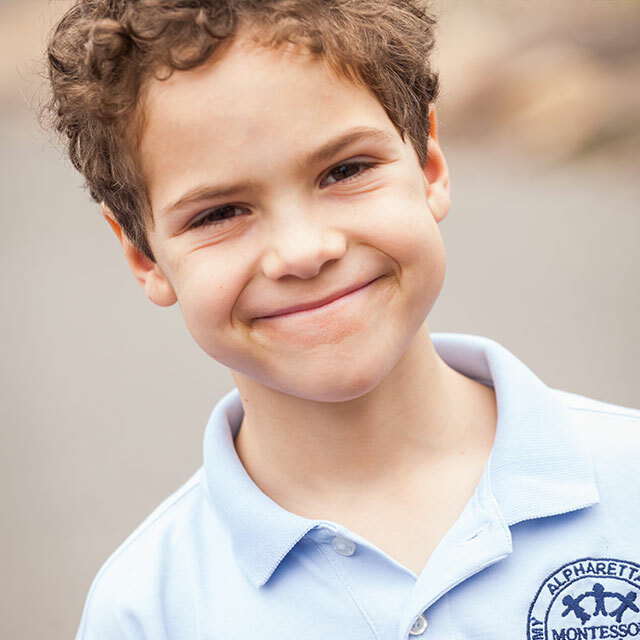 Why choose Alpharetta International Academy for Elementary School?